Bariatric surgery is often recommended to prevent and/or treat obesity. Overweight and obese patients often experience a wide range of serious medical conditions. Individuals with a high BMI (Body Mass Index) have a much greater risk of incurring in heart disease, diabetes mellitus, many types of cancer, asthma, obstructive sleep apnea, and chronic musculoskeletal problems. Overweight and obese people, including children, may find it difficult to lose weight on their own. It is common for dieters to find that they gain weight, or return to their original weight, after ending the diet. For many, this procedure is their last hope to lose weight and regain their health. Are You Interested in Bariatric Surgery? In what does it consist of? Bariatric surgery or weight loss surgery includes a variety of procedures performed on patients who struggle with obesity. Most bariatric surgery is performed using minimally invasive laparoscopic or keyhole surgery techniques. Gastric Band: Weight loss is achieved by reducing the volume of the stomach with a gastric band. This surgery is reversible since it does not involve the removal of any organs. Sleeve Gastrectomy: This surgery removes a portion of the stomach, reducing the stomach area to approximately 15% of the original size. This surgery permanently reduces the stomach size and is irreversible. This surgery is also known as a gastric sleeve surgery or a vertical sleeve gastrectomy. Gastric Bypass Surgery: This surgery resects and re-routs the small intestine to a small stomach pouch. In this surgery, the stomach is divided into a small upper pouch and a lower pouch. The small intestine is moved to connect to the small stomach pouch, bypassing the lower pouch. Bariatric surgery often results in greater weight loss than conventional diets, and leads to improvements in quality of life and a reduction of obesity related diseases such as hypertension and diabetes mellitus. The needs of each patient are carefully considered and a custom-tailored surgical program is developed to help the patient achieve healthy, safe and lasting weight loss. 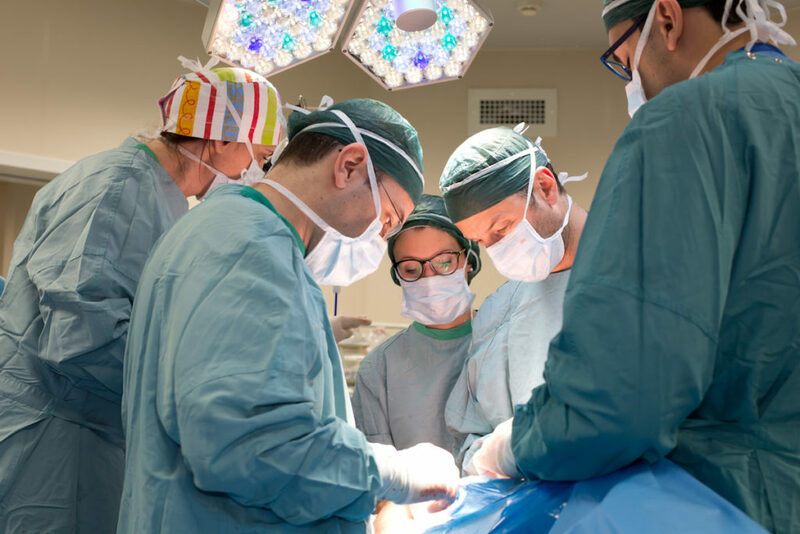 Bariatric weight loss surgery has shown remarkable success with diabetes remission, especially if performed within 10 years from the initial diagnosis. There is considerable interest in weight loss surgery among people with type 2 diabetes who have a lower BMI than is generally required for bariatric surgery (40 kg/m2 or greater). *Laparoscopic bariatric surgery requires a hospital stay of only one or two days.